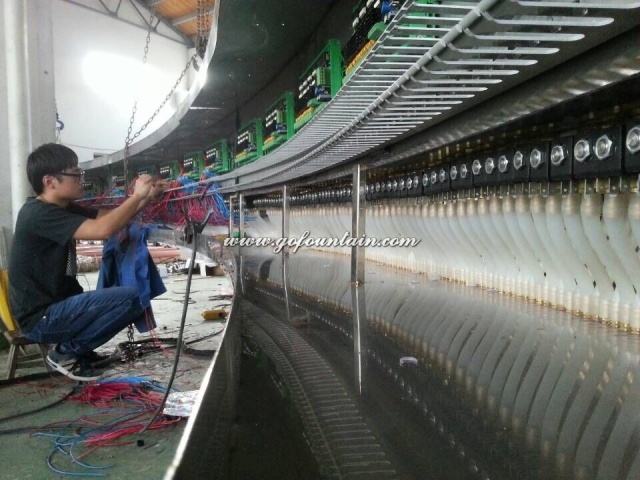 This is a 6m length arc shape digital water curtain, which was exported and installed in Uzbekistan on December of 2015. This digital water curtain will be shown in front of a shopping center. 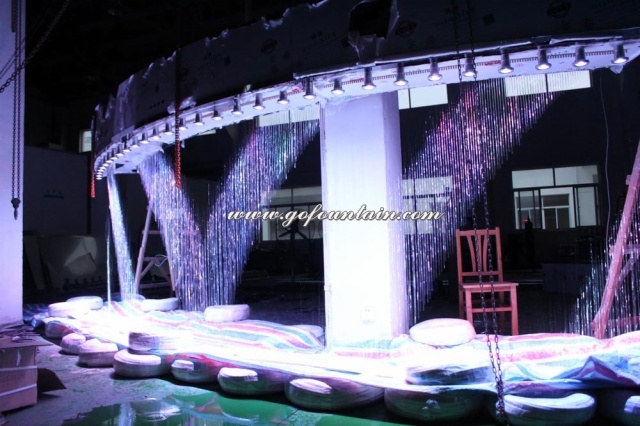 Digital water curtain is one of the most advanced products in nowadays fountain industry, which could display words, designs, running water spray, etc. 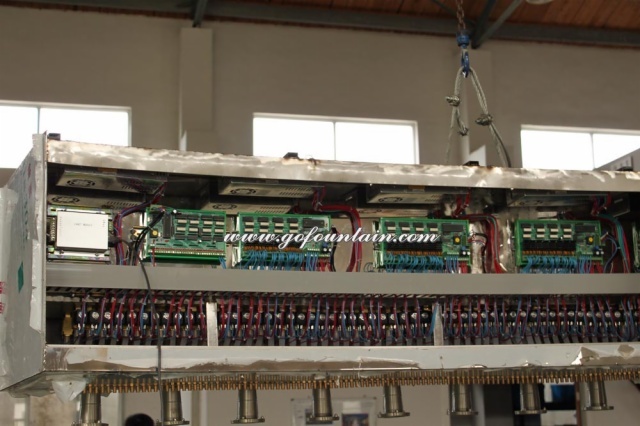 Its computer system can convert the pre-editing program into different control signals to the solenoid valves which can command the time and length of waterfalls, then form the different words or patterns designed. This curtain is not only a new advertisement carrier but also a high-tech art in the decorating field. This project includes 2 water fountains, installed in water pool. It is located in Kyiv, Ukraine. No. 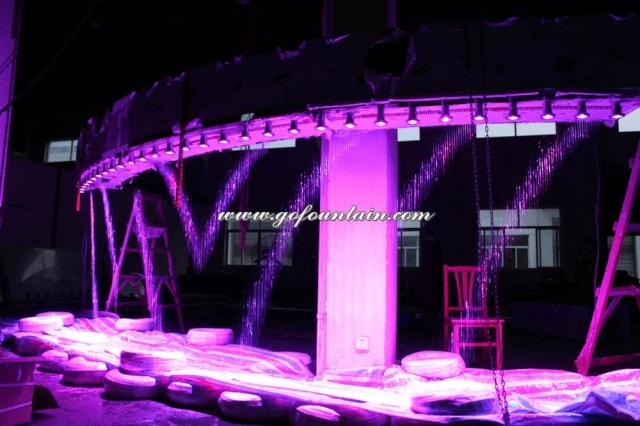 1 is a dia.5.5m program control water fountain with waterfall fountain No.2 is a 8x5m small static water fountain with Gushng Spray water feature.